I read this article and found it very interesting, thought it might be something for you. 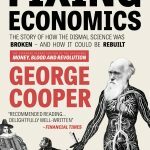 The article is called How the Darwinian Revolution Can Fix Economics and is located at http://evonomics.com/darwinian-revolution-economics/. 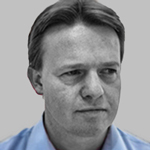 If today’s generation of economic rethinkers are to fail and fade away, as others have done before them, without having successfully overthrown the neoclassical orthodoxy, I suspect the culprit will prove to be a naïve saccharin-sweet view of human nature which is gaining ground within a significant portion of the movement. The neoclassical paradigm has pulled off the remarkable trick of telling a story in which we humans produce the best of all possible worlds through acting in the worst of all possible ways. We are modelled as self-serving selfish individuals interested only in our own welfare and told that this behaviour produces an ideal optimised economy. In the language of Keynes: “Capitalism is the astounding belief that the most wickedest of men will do the most wickedest of things for the greatest good of everyone.” According to this paradigm, people are selfish but economies are altruistic or, in more childish language: we are nasty but the world is nice. Much, perhaps all, of the energy behind the Rethinking Economics movement arises out of a desire to overturn the latter part of this narrative – no one that I know of within the Rethinking Economics community believes the economy is a ‘nice’ self-optimising system. If there is one single idea binding together the whole movement it is the belief that it is possible to organise our economy in such a way as to produce a better outcome than the one we currently have. The issue-driven rethinkers all, in one way or another, aim to show how the current economic situation falls far short of an optimal situation. Monetary rethinkers attack the mechanisms by which the aggregate economy is supposed to achieve its optimal equilibrium. Behavioural rethinkers have, for their part, launched two separate attacks on the neoclassical narrative: one attacking the idea of individualism and another attacking the idea of selfishness. The upshot of all of these efforts has been a collective attempt to formulate and then popularise an alternate economic paradigm which is presented as the perfect antithesis of the neoclassical paradigm. Where the neoclassical story is of a self-interested individual, the pluralist rethinkers promote an idea of an altruistic society. Where the neoclassical story is of an optimised economy, the pluralists talk of a deeply suboptimal world. Unsurprisingly, those within the behavioural rethinking tribe who are keen to push the narrative of cooperation, altruism, empathy and sharing are less supportive of my suggestion that we humans are by nature Darwinian competitors. 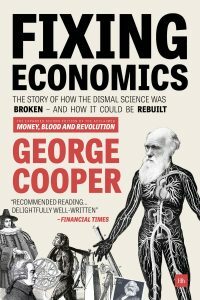 Many within the Rethinking Economics movement, I have discovered, have an almost visceral aversion to the idea that we humans may have evolved not just our physical traits but also our behavioural traits through a Darwinian selection process designed to deal with a Malthusian world in which we are forced to compete with one another for scarce resources. But the logic of the Darwinian evolutionary process is difficult to refute, even if it does give an uncomfortable resonance to the dark words of Gore Vidal: “It’s not enough to succeed, others must fail” and “Every time a friend succeeds I die a little”. More importantly for the Rethinking Economics community, the inability to acknowledge our Darwinian nature leaves the reformers arguing from an awkwardly implausible position. We are, for example, supposed to swallow the story that the global financial crisis was brought about by the egregious greed of bankers, and before that the Nasdaq crash by the egregious greed of corporate executives, yet at the same time we must swallow a narrative of humans being naturally inclined toward sharing, cooperation, empathy and altruism. At best this confused narrative requires considerable explanation. At worst it risks blinding us to the reality of our own nature, leaving us ill-equipped to consider the very issues with which the Rethinking Economics community is so concerned. A more coherent line of attack upon the neoclassical paradigm would surely be to accept, at least partially, its view of human nature as inherently selfish and to direct the principal challenge at the much weaker assertion that individual selfishness leads to the promotion of the public interest. Starting from this position would at least provide a sound position from which to argue for the obviously necessary rules and regulations which are a feature of all successful societies but which are viewed by the neoclassical paradigm as an impediment to economic progress. Viewed in this way, the pluralist Rethinking Economics community has made a strategic mistake in how they have chosen to attack the neoclassical paradigm. They have countered the nasty neoclassical ‘selfish human’ with a nice pluralist ‘altruistic human’ narrative. The pluralists may be able to construct a more convincing rebuttal of the neoclassical narrative by parking their tanks on the lawn of the enemy arguing: yes, we have a selfish nature and not just a selfish nature but a Darwinian competitive selfish nature and this is why we must regulate our own affairs. All successful societies and economies have developed mechanisms to harness and tame our nature – neither the neoclassical individualist paradigm nor the pluralist cooperative, empathetic sharing paradigm explain why these mechanisms are necessary. In very simplistic language the neoclassical story is: people are nasty but the world is nice. While the pluralist story is: people are nice but the world is nasty. Neither of these paradigms is terribly convincing, but somehow the ‘nice people, nasty world’ version which defines much of the thinking on the political left is the less convincing of the two. The upshot of this situation is that the right-leaning neoclassical school is more confident and more convincing. While the left-leaning pluralist school is confused and unpersuasive – it rails against the inequity of the world while at the same time refusing to recognise its cause. The left complains that the world is run by Gordon Geckos, while believing its population is drawn exclusively from the ranks of the Salvation Army. The Copernican revolution and the Darwinian revolution stand apart from all other scientific revolutions in that they changed both our view of the world around us and our view of ourselves. The Copernican revolution changed the way we think about the universe but in doing so it pushed humanity from its hallowed position at the centre of the universe. The Darwinian revolution changed the way we think about the animal kingdom but in doing so it placed us firmly within that kingdom; we became just one of many millions of other species. After Copernicus the notion that the universe was built literally to revolve around mankind became untenable. After Darwin the notion that we were modelled in the image of God became equally untenable. Copernicus stripped mankind of one of its greatest vanities and Darwin stripped us of another. Perhaps the Darwinian revolution is still only half done. 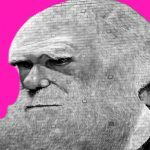 We have accepted that our biology evolved through a Darwinian selection process but we have yet to accept that our behaviour also evolved through Darwinian selection. There is an amusing irony in the attitudes of the left-leaning pluralist thinkers versus those of the right-leaning neoclassical camp. The conservative right is generally more comfortable with religion and faith, whereas those on the left tend to pride themselves on holding a rational scientific world view. Yet when it comes to matters of human behaviour it is the right who have embraced a behavioural model broadly compatible with Darwin’s science, while the left appear intent on defending a spiritually inspired behavioural myth. The philosopher John Gray has offered an interesting critique of the modern humanist movement which he sees as form of secular religion intent on promoting the idea that human nature is unique and apart from that of the animal kingdom: “Human uniqueness is a myth inherited from religion, which humanists have recycled into science.” A very similar critique could be levelled at much of the behavioural thinking within the pluralist Rethinking Economics movement. The denial of our Darwinian nature is not just an academic issue. It is an important barrier to understanding how and why our modern economy should be managed. The failure to build a realistic model of human behaviour into our model of the economy leaves us unable to understand either individual or group-level behaviour and, by implication, ill-equipped to regulate that behaviour. Perhaps the biggest barrier to developing a better understanding of how our economy works is our own perception of our nature. In truth neither the neoclassicals’ story – we are nasty but the world is nice – nor the pluralists’ story – we are nice but the world is nasty – is fully convincing. We humans clearly exhibit a broad range of behavioural traits, both at the level of the individual and even more so at the group level where complex emergent behaviour becomes all-important. The very fact that we have words for cooperation, altruism, generosity and empathy on the one hand and competition, selfishness, antipathy and jealously on the other hand, suggests these are all very real behavioural traits. The debate over whether we humans are competitors or cooperators is clearly a false dichotomy – we are very clearly both. Yet all too often discussions of these issues are presented as a dichotomy demanding that we choose the ‘nice’ cooperator camp or the ‘nasty’ competitor camp. Reconciling these two world views is another example of a problem begging for a Kuhnian solution. If we label the ‘selfish competitor’ as the behavioural thesis and the ‘altruistic cooperator’ its behavioural antithesis, then the path to improving our understanding of human behaviour lies in finding the paradigm to synthesise these two world views. In conclusion, the empathy, altruism, cooperation behavioural paradigm is dominating the thinking of many within the Rethinking Economics community. Before embracing these ideas too enthusiastically it is worth stepping back and asking ourselves if the world we see around us and the stories of our history books really do accord with such a benign view of human nature. Our belief in the benevolence of human nature may be the last vanity of man and the greatest barrier to understanding our economic system. Excerpt from Fixing Economics, Published by Harriman House 2016.